What is Jaw crusher price for construction waste recycling project Mozambique ? NewsHome > News > What is Jaw crusher price for construction waste recycling project Mozambique ? 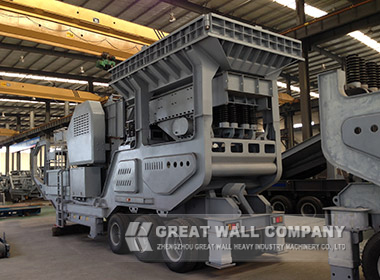 Great Wall Company offer the YG1142E710 Mobile jaw crusher plant for processing construction waste according to production requirement. Mobile crushing plant features of high quality, durable service life and reliable crushing capacity. If you are interested in our jaw crushers or have any problems on other stone crushers, please feel free to contact with us. Previous: Why choose jaw crusher and VSI crusher in 180 T/H Quartz sand making plant? Next: How to install jaw crusher for 300 TPH limestone crushing plant?